Anyone who have ever been to Las Vegas has likely experienced casinos and the party atmosphere that surrounds “the strip.” But after returning home, casinos may not be readily available, and certainly, it may be difficult to find the same “vibe” that you enjoyed in Las Vegas. But wait…there’s great news. You can bring the casino party to you! By hosting your own casino party, you can enjoy the same Las Vegas party atmosphere while “wowing” your friends and colleagues. From roulette wheels to slot machines, casino parties are offer great ways to have that unique, “out-of-the-box” type of party. 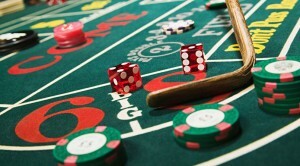 Once you have decided to host your own casino party, you now have to plan your event. 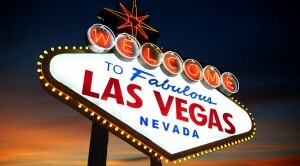 Understandably, you want your casino party to be as realistic and as authentic as your experience in Las Vegas. At the same time, you might want liven up your party even further. And what about gambling? Isn’t that illegal in Florida? If you’re like most people, you will have a lot of questions when it comes to hosting a casino party. And getting the right answers is important if you want your casino party to be a success. Here are 5 important things about casino parties you might not have known. You have some idea about the number of guests you would like to invite to your casino party. But how much space do casino tables and dealers require? Is you home large enough, or will you need an event space? It may not be surprising that the size of your casino party matters, but you might be pleased to know that formulas exist to help you customize your casino party to meet your needs. For example, while 100 guests may do fine with 9 casino tables and 750 square feet of space in your home, 300 guests will likely require moving the party outdoors or to an event space. Regardless, knowing the size of your guest list will immediately help you plan exactly your casino party needs. Though you might not have thought twice about it, you were amazed and thrilled in part by the fact you were actually in “the” Las Vegas. Las Vegas is the real “deal,” so to speak. In trying to recapture that same feel as a Las Vegas casino, your party must also have an authentic feel. How can you accomplish this? For one, choose a casino party planner that provides authentic dealers with real casino experience. 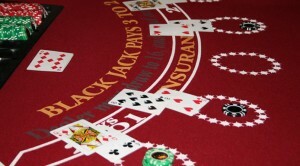 Select casino party planners that only offer the finest tables and equipment. And choose ones that are experienced in casino party décor. These features go a long way in recreating the same atmosphere that you personally enjoyed in Las Vegas. Like many activities, experience matters. The more you have performed a task, the better you get. This is particularly true when it comes to casino party planning. While you might be a “pro” at throwing a dinner party or evening cocktail soiree, hosting a casino party can be more complex. 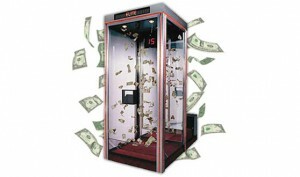 In addition to finding quality equipment and experienced dealers, knowing how to create a casino atmosphere comes with time. Understanding this, the largest casino party planners are typically the most experienced. Finding one with a great reputation to help you can make sure your party turns out just the way you want. Here is an interesting fact. Did you know that the number of guests at your casino party often predicts the percentage that actually play casino games? It’s true. While only 70 percent of guests may partake in casino party fun for larger crowds, up to 90 percent will play casino games in smaller groups. Why is this important? Because if 30 percent of your guests are not enjoying the casino games, then you might want other entertainment options for them. Casino party planners that provide additional entertainment rentals can therefore make your life much easier. By having everything under one casino party planner “roof,” you enjoy one-stop shopping while your guests have the time of their life! 5. Fun Matters – Playing with House Money! One question many people ask about casino parties is whether or not they are illegal. In many states, like Florida, gambling is illegal, so naturally, this is a primary concern for a casino party host. But never fear! Casino parties use “fake” money where guests are given commemorative currency to play casino games. Other casino party hosts give guests “funny money” for charitable donations. The bottom line is that your guests get to play for fun while you provide awesome (and legal) entertainment in the process. After all, fun is what it’s all about! Casino parties are great fun, and they offer a great way to create a special occasion that guests will remember for a long time to come. With proper planning, a little research, and the help of an experienced, professional casino party planner, you can make everyone feel as if they are playing in Las Vegas. Casino parties are the next best thing to actually being there!